Study and evaluate the implementation of SB 652, SB 1295 and SJR 55, 78th Legislature. Address defense community use of loan programs created by these bills and make recommendations on how to best use loan proceeds to maintain Texas bases. Study the effects of urban encroachment upon Texas military installations. Study and communicate national Base Realignment and Closure (BRAC) developments, criteria and timelines to the Texas Military Planning Commission (TMPC) and affected military communities. Coordinate and monitor all BRAC issues associated with the Governor's and Lt. 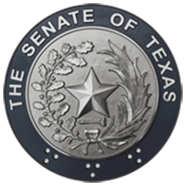 Governor's offices, the TMPC, the Office of State-Federal Relations, the State Congressional Delegation, and the Texas House Committee on Defense Affairs and State-Federal Relations.